One of FIELD’s principal areas of interest is scale-up. 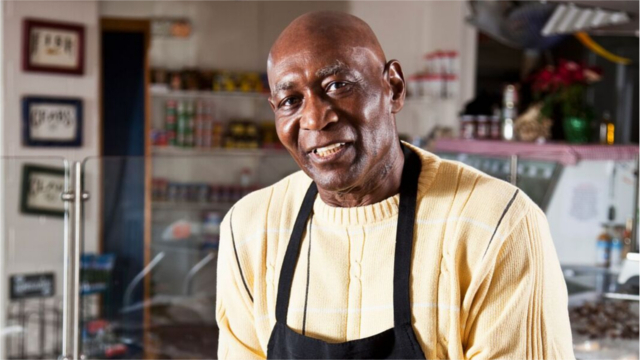 How can U.S. microenterprise programs expand their outreach and serve ever-larger numbers of emerging entrepreneurs with business development and financial services? With estimates of the potential market in the millions and reported service numbers only in the hundred thousand range, there is a clear need to dramatically increase the breadth of services provided across the nation. 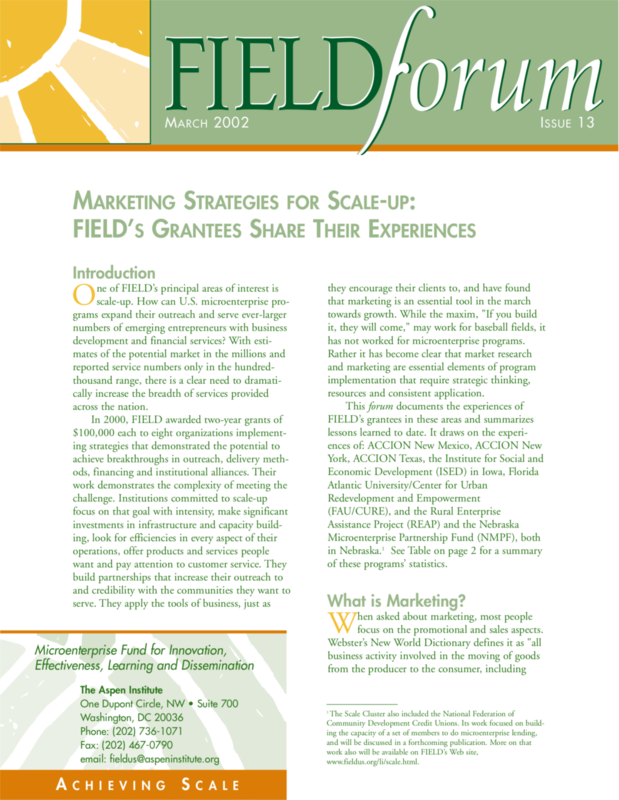 In 2000, FIELD awarded two-year grants of $100,000 each to eight organizations implementing strategies that demonstrated the potential to achieve breakthroughs in outreach, delivery methods, financing and institutional alliances. Their work demonstrates the complexity of meeting the challenge. Institutions committed to scale-up focus on that goal with intensity, make significant investments in infrastructure and capacity building, look for efficiencies in every aspect of their operations, offer products and services people want and pay attention to customer service. They build partnerships that increase their outreach to and credibility with the communities they want to serve. They apply the tools of business, just as they encourage their clients to, and have found that marketing is an essential tool in the march towards growth. 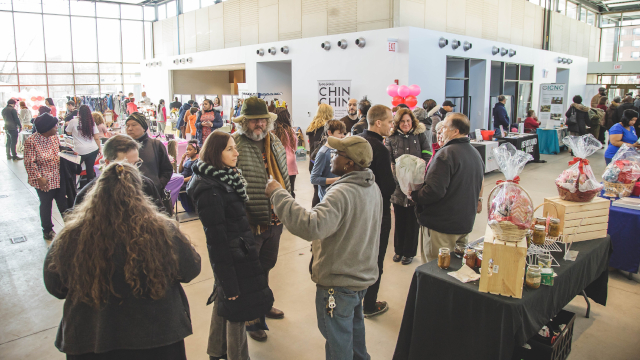 While the maxim, “If you build it, they will come,” may work for baseball fields, it has not worked for microenterprise programs. Rather it has become clear that market research and marketing are essential elements of program implementation that require strategic thinking, resources and consistent application. This forum documents the experiences of FIELD’s grantees in these areas and summarizes lessons learned to date. It draws on the experiences of: ACCION New Mexico, ACCION New York, ACCION Texas, the Institute for Social and Economic Development (ISED) in Iowa, Florida Atlantic University/Center for Urban Redevelopment and Empowerment (FAU/CURE), and the Rural Enterprise Assistance Project (REAP) and the Nebraska Microenterprise Partnership Fund (NMPF), both in Nebraska.